Greenlite Red and White Spoon with Fuming and marbles. Docs Smokeshop. Best Smokeshop in Baltimor..
Greenlite Glass Fumed with White and Green Flower Spoon. Flowers and colors may vary. Docs Smokes..
Greenlite Glass Spoon. Red, purple and amber honeycomb design gives way to blue dhicro ring on.. 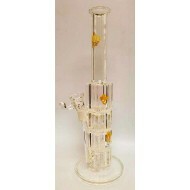 Stand up, Wrap and rake sherlocks by Greenlite glass. 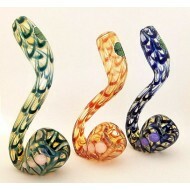 Fumed for color changes when you smoke o..
Wrap and Rake Sherlock by Greenlite Glass.